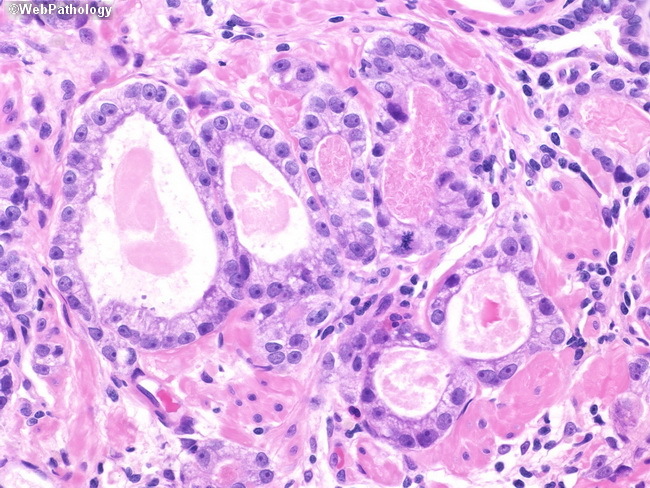 The focus of cancer shown here was found on a repeat biopsy performed 5 months after the initial biopsy (shown in the previous image). The risk of detecting cancer on a repeat biopsy following an initial atypical diagnosis is 40-50%. Rebiopsy should sample the entire gland, with extra cores being taken from the initial atypical site and adjacent areas.